Moths tend to get a bad press, and it is correct to say that some are little brown flying insects that are not the most colourful wildlife that there is to see and photograph. But anyone who thinks all moths are brown and do nothing more than eat your jumpers are actually missing a very large and varied group of species. there are aroximately 5000 species of moth found in great Britain and some are very colourful and weel worth seeking out. 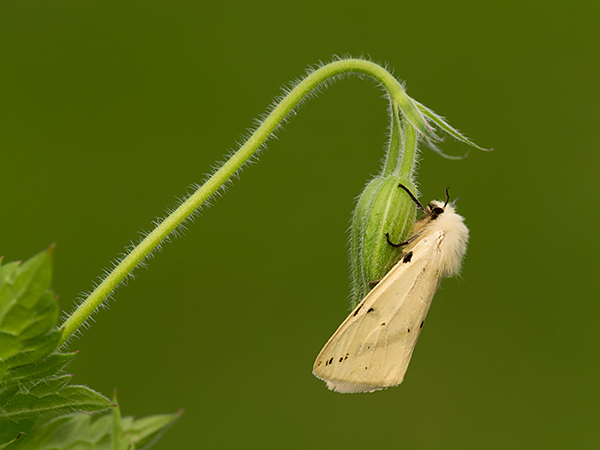 Buff Ermine moth seen and photographed in my Leicestershire garden. To back up the point that not all moths are brown and un-interesting, this image has been acepted in at least half a dozen international exhibitions of photography.